Instagram is a social networking app to share photos and videos from a smartphone. It has more than 600 million users. Instagram has grown very fast in the last 2 years. When you post a photo or video on Instagram, it displays on your profile. Other users who follows you can see your posts in their own feed. Likewise, you can see posts from other users whom you choose to follow. There are so many tricks available for Instagram app but one of them is in trending these days “How to Remove Debit/Credit Card from Instagram”. 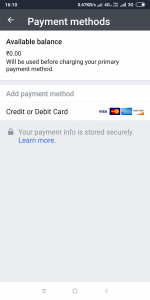 In this article, I am writing about a way to remove the debit/credit card from Instagram. In my previous article, I wrote about how to promote your photos or videos on Instagram and for that, you need to pay some kind of amount. So to promote your Instagram post you made a payment via your debit/credit card. And now you may want to remove that debit/credit card details from the Instagram app. Step 1. 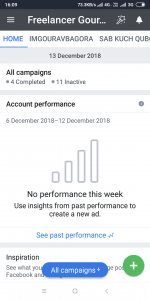 First of all, you need to install an app called “Facebook Adverts Manager” and is available for Android and iOS platforms. Step 2. 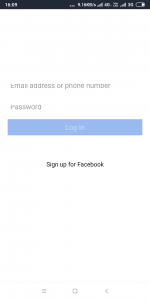 After installing the app, you need to open that app and login with your Facebook ID which is linked with your Instagram account. Step 3. 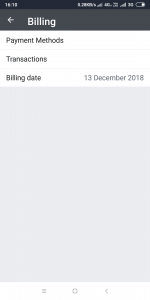 Once you logged in, you need to tap on the “3 lines” above and select “Billing” section. Step 4. 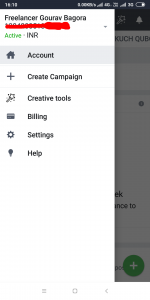 In the billing section, you need to tap on the section “Payment Methods”. Step 5. Here on this screen, you can see your all payment methods you used before. And you can remove them also. I am Gourav bagora, Turned Entrepreneur By Following My Passion "Successful Web Developer | YouTuber | Social Media Marketer. Techbooot.com is the best place to find exciting tutorials, solution of technical errors as well as freelancing tips.